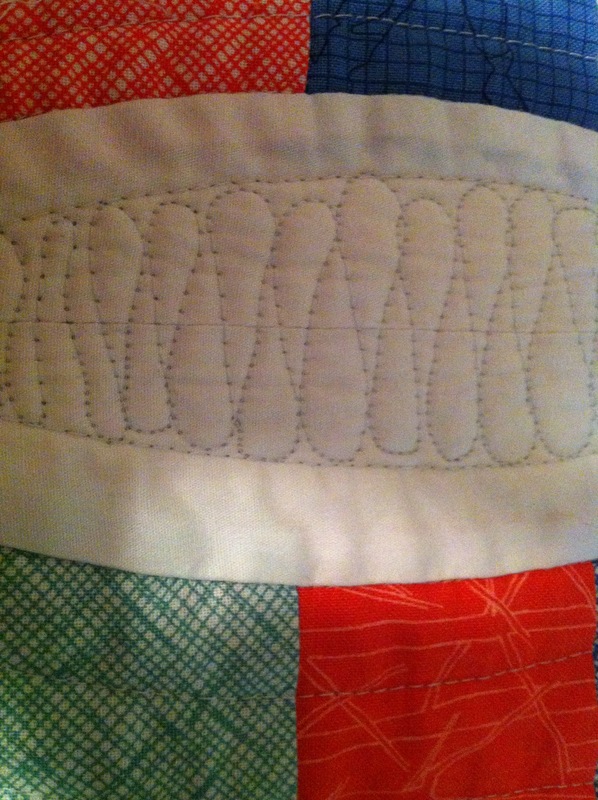 I’ve also been cutting and sewing for my QCR blog hop post, but you’ll have to tune in next week for the reveal(s)! In the meantime, I’m linking up with WIP Wednesday at Freshly Pieced. Thanks so much for your thoughts on work and craft. It seems like a lot of us are in the process of thinking on this issue and living in this tension. This week for me at least feels more hopeful; I have a game plan for some additional creating on the side of my 9-5. Within my 9-5, my manager told me yesterday that she knows I’m creative and wants to use these juices in a few upcoming projects. So my mindframe is hopeful. Here’s hoping for creative outlets for you as well! Last night’s Arcade Fire show included Sprawl II (Mountains Beyond Mountains) which I’ve been humming all morning. Yes. Assistant by day, maker by night. I like to spend time with wool, fabric, and onions (and let's admit it, butter). I am inspired by color and pattern. My sewing machine is named Daphne .